Thanksgiving is only a few days away, and I couldn't be more excited. Here are some of my top picks for a Paleo-friendly Thanksgiving feast- without sacrificing any of those indulgent flavors! Click the title to be taken to each recipe! 1. Oven Roasted Broccoli is a quick, easy vegetable that requires little to no prep. I love the flavor broccoli takes on when it's been roasted- perfect alongside your Thanksgiving turkey! 2. Crispy Oven Green Bean "Fries" are my favorite vegetable year-round... but also a great way to switch up your holiday sides. Toss the green beans with olive oil & spices, then stick them in the fridge until your ready to bake. 3. 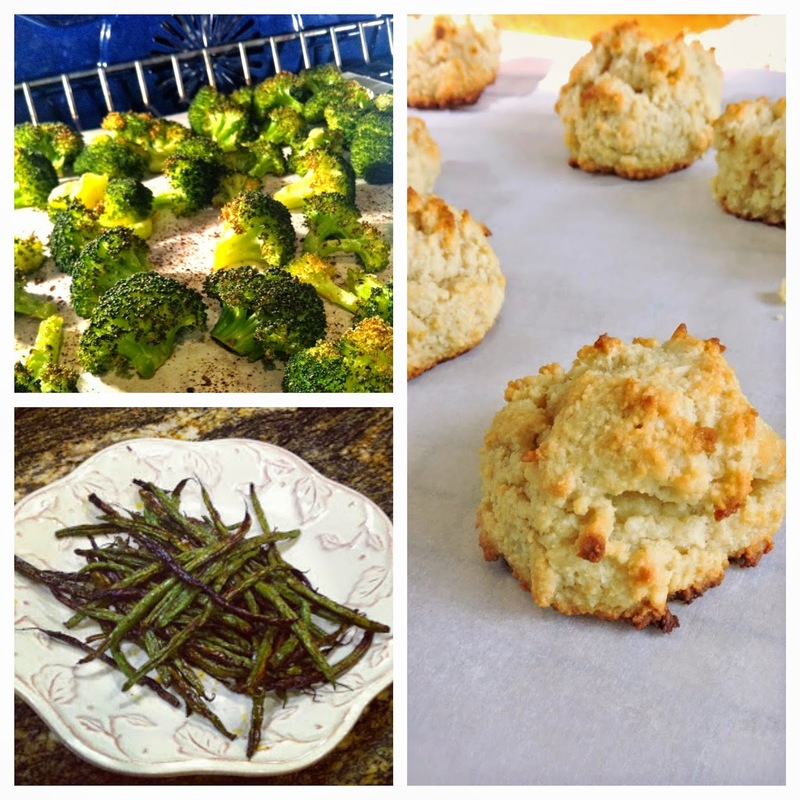 Paleo Drop Biscuits are almost too good to be true. They are incredibly light and buttery, yet still hearty and filling. Add some garlic powder & black pepper to the dough if you want them more savory, or stick with the lightly sweet original recipe for the perfect biscuit to dip in your gravy! 4. Twice Baked Sweet Potatoes with Pecans are a Thanksgiving must. I love how they are pre-portioned & ready to serve in their own potato skin. 5. 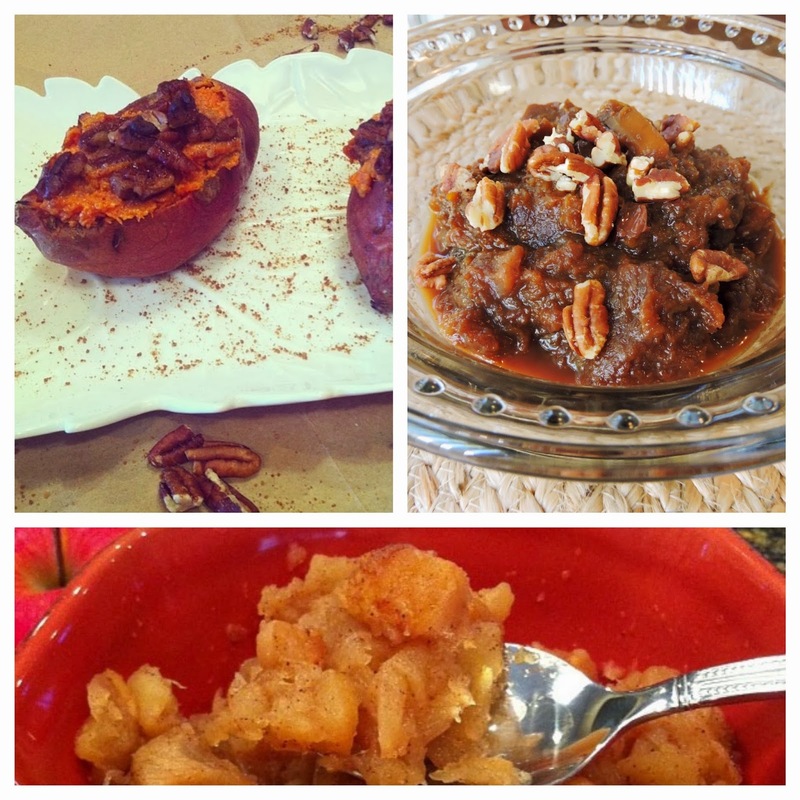 Crockpot Caramel Apple Squash is the perfect side to serve with your turkey. The squash and apples cook down to a tender mash, and the coconut sugar and butter simmer into the perfect caramelized sauce. 6. Baked Cinnamon Applesauce can be done in the oven, or slow-cooked in the crockpot if your short on space. This makes the perfect side, and can also be served as dessert... I swear it tastes like apple pie filling! 7. Paleo Pumpkin Pie Bars with Creamy Vanilla Frosting are the perfect holiday treat. They're incredibly simple to prepare, and taste just like pumpkin pie- without the hassle of a crust. 8. Cranberry Almond Muffins are filled with the comforting, festive flavors of sweet almond extract and fresh cranberries. 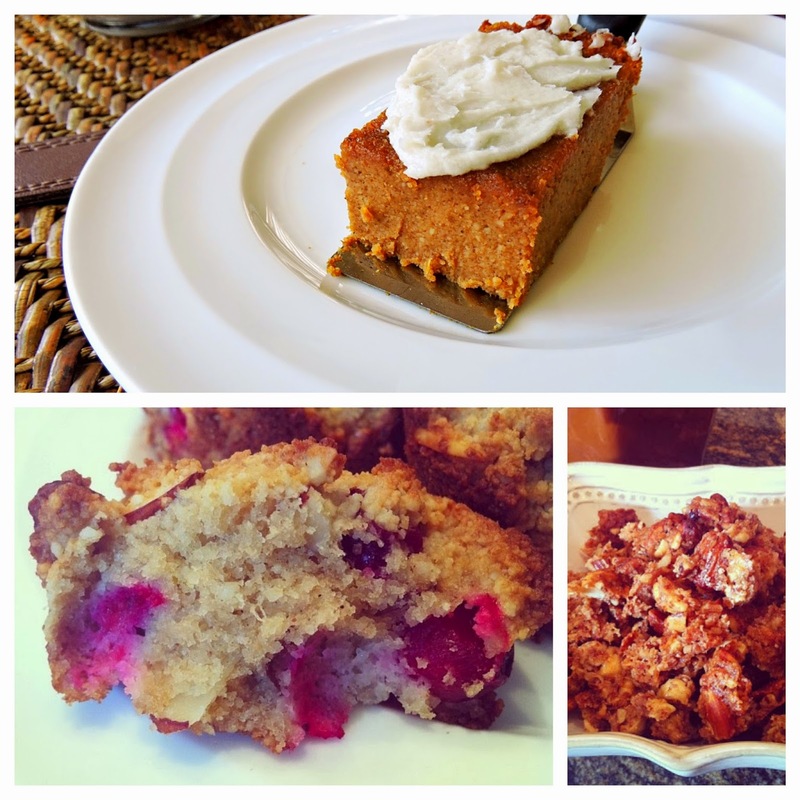 They would be perfect for a light breakfast to save room for your Thanksgiving feast! 9. Pumpkin Spiced Paleo Granola is perfect for snacking while dinner cooks. It's also a great little take-home goodie for your guests. Wrap it up in plastic serving-size bags, and tie it up with some pretty ribbon. You can even type up the recipe & attach it, so that they can make some more of their own! I hope some of these recipes make it to your table! Either way, I hope you have a wonderful holiday with the ones you love!